The random number generator has chosen a game from my childhood that I only played for a little while. 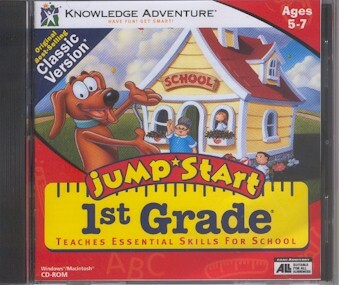 It was called JumpStart First Grade. 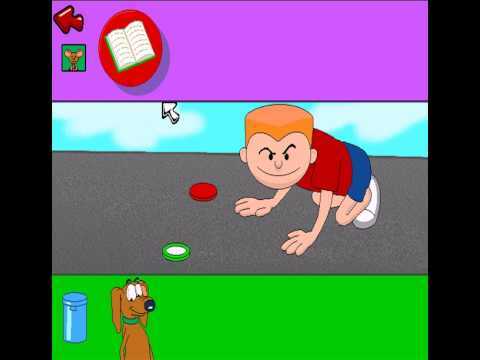 My friend Jonah actually owned this game when it was new, while I owned JumpStart Second Grade (before getting JumpStart Third Grade, which is the best edition I ever played), so I’m not as familiar with the game as he is, but I did eventually complete it after I played the game at my own house. 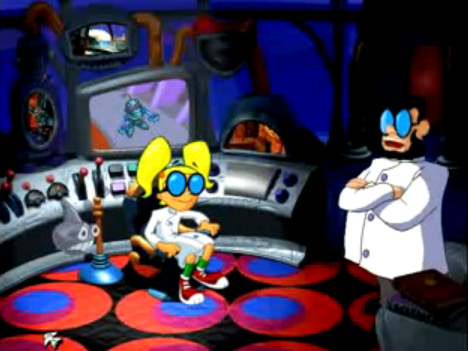 It’s not very long, but essentially, as the player you do activities around the school and collect animated milk bottle caps. 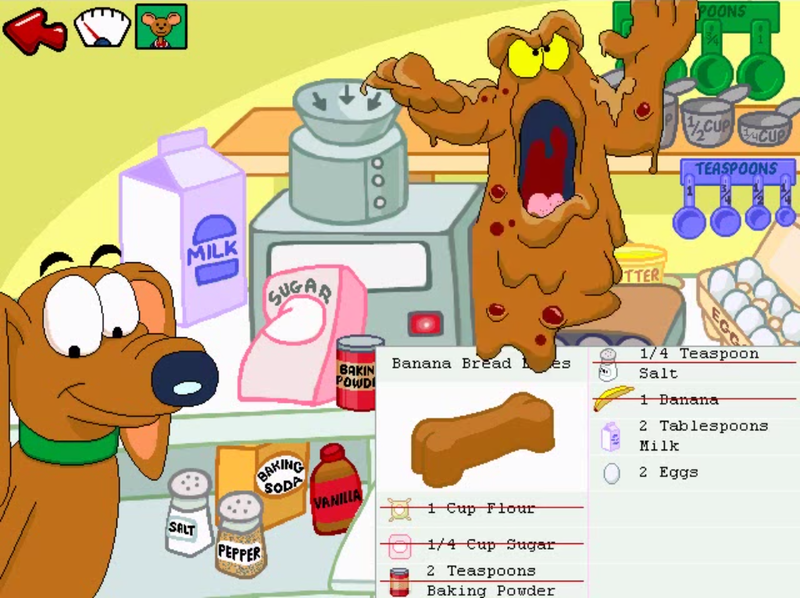 I had to find images of the game on the internet to remember what some of those activities were. 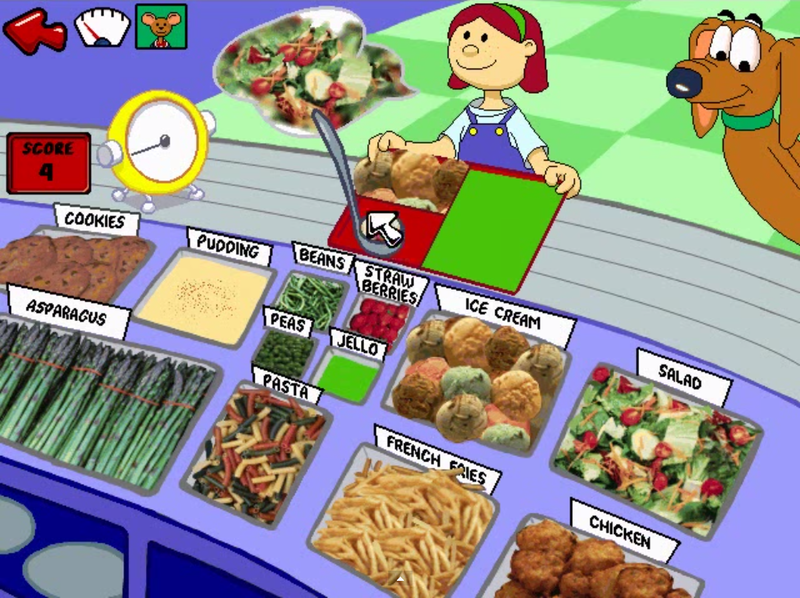 My favorite was probably the cafeteria game that taught fractions. The kids wanted different amounts of different food, so the objective was to fill their orders. Then, they teach you how to work a cash register. 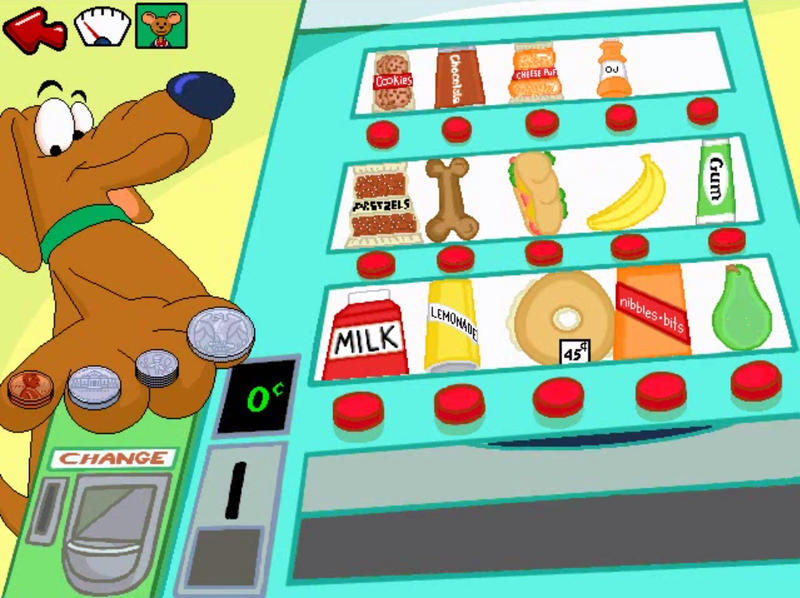 Of course there was a game in which you learned about American money and making exact change with it in order to get an item from the vending machine. 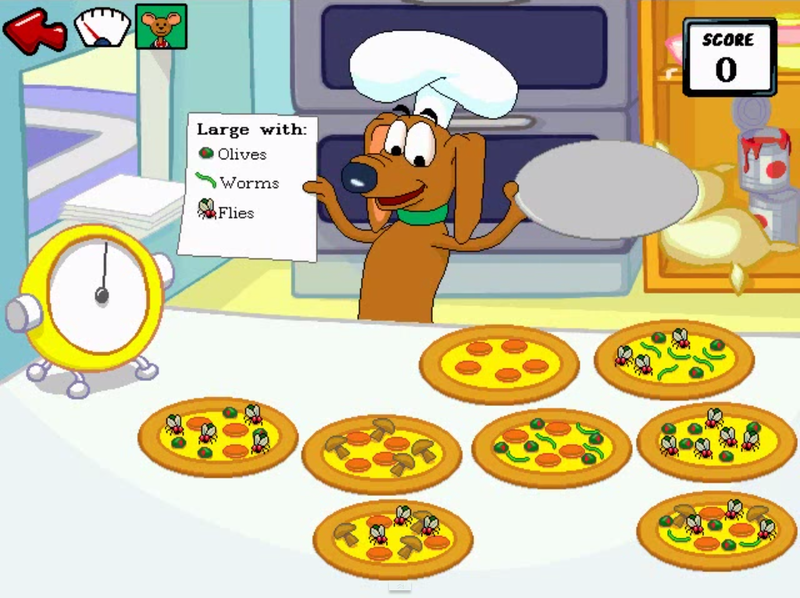 You can also sort pizza orders, but some of them are considered inedible by normal humans. Don’t mess it up or you may end up with a lawsuit on your hands! None of those ingredients are fit for human consumption. You can also cook, but again, be careful. Not enough milk or eggs! The dog isn’t phased though. You earn bottle caps from completing activities, and it really doesn’t take that long to get them all. Then apparently you can use them to play games during recess. 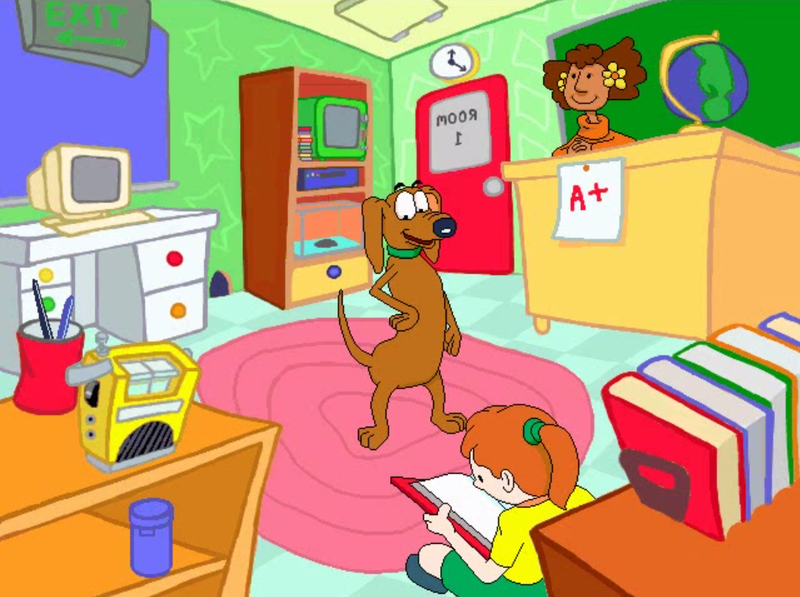 What I think is weird about this game is that it is perpetually lunch time, recess, and field trips. JumpStart School doesn’t appear to have any classes either. There are no chairs anywhere. 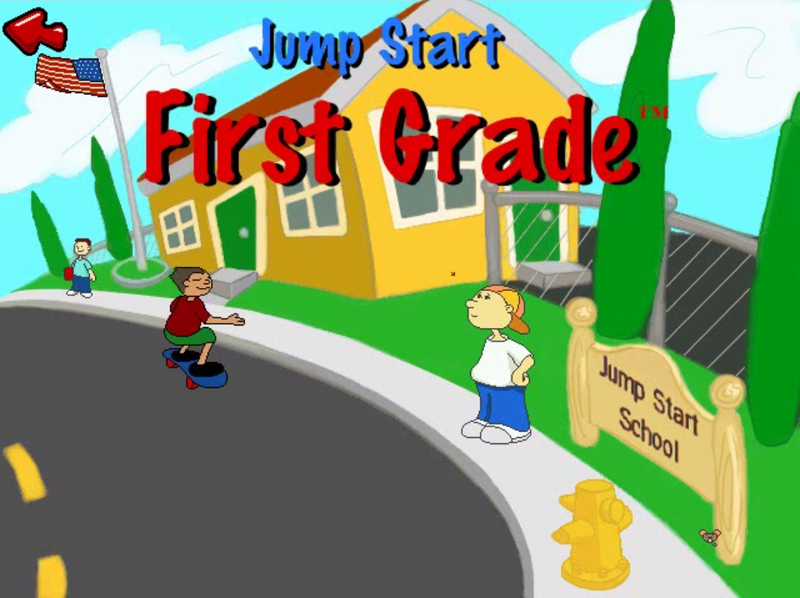 Still, the game’s pretty good, but it’s pretty short, and it’s nothing compared to JumpStart Third Grade. 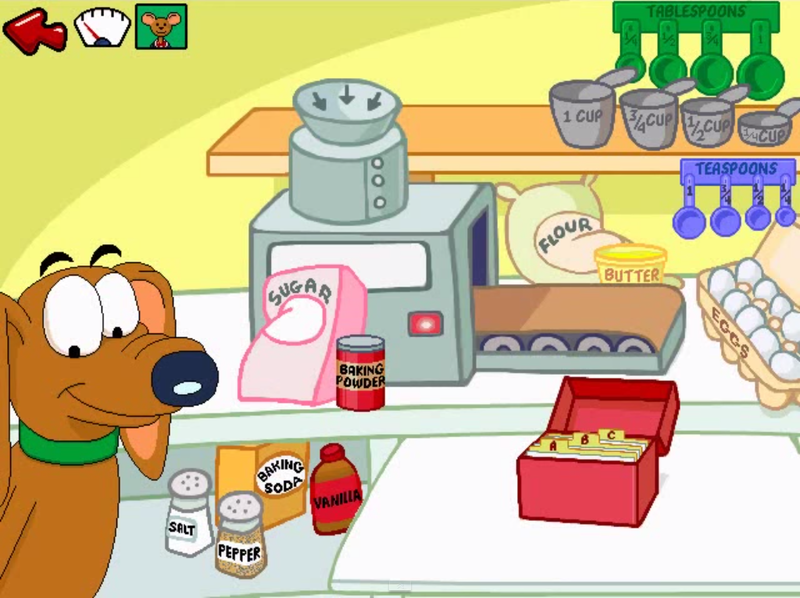 If you’re going to try one of these old games out on your kids, definitely go for JumpStart Third Grade rather than this. I beat it when I was in first grade, but it’s still a pretty lengthy game. Here’s my article about it if you are curious.